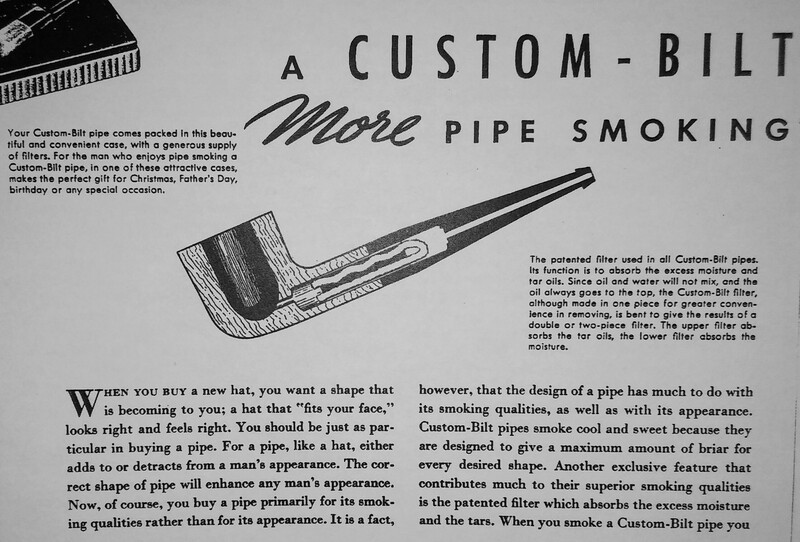 Custom-Bilt patented filter system 1935 to around 1941. 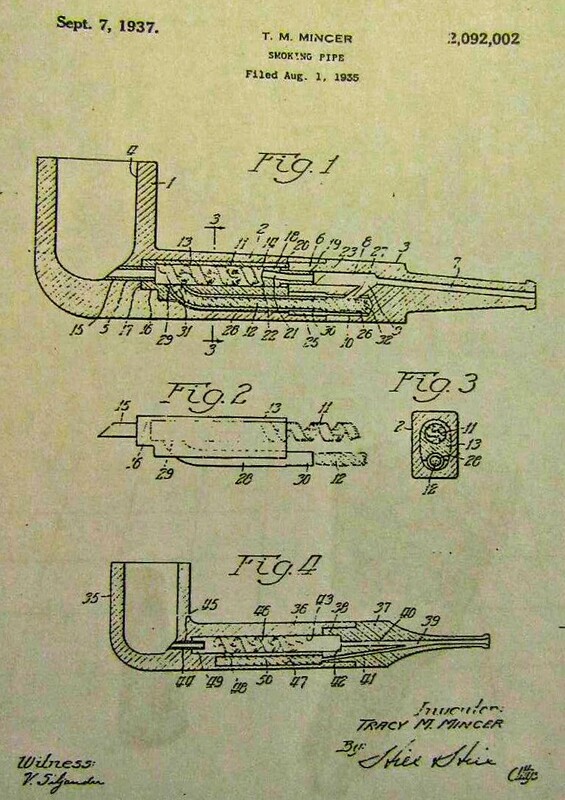 The patented filter used in all Custom-bilt pipes. 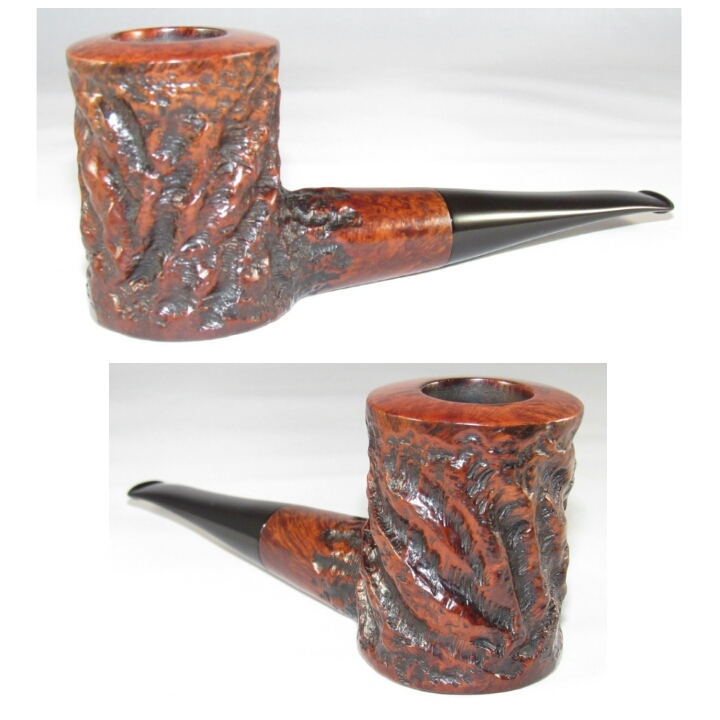 Its function is to absorb the excess moisture and tar oils. Since oil and water will not mix, and the oil always goes to the top, the Custom-bilt filter, although made in one piece for greater convenience in removing, is bent to give the results of a double or two-piece filter. 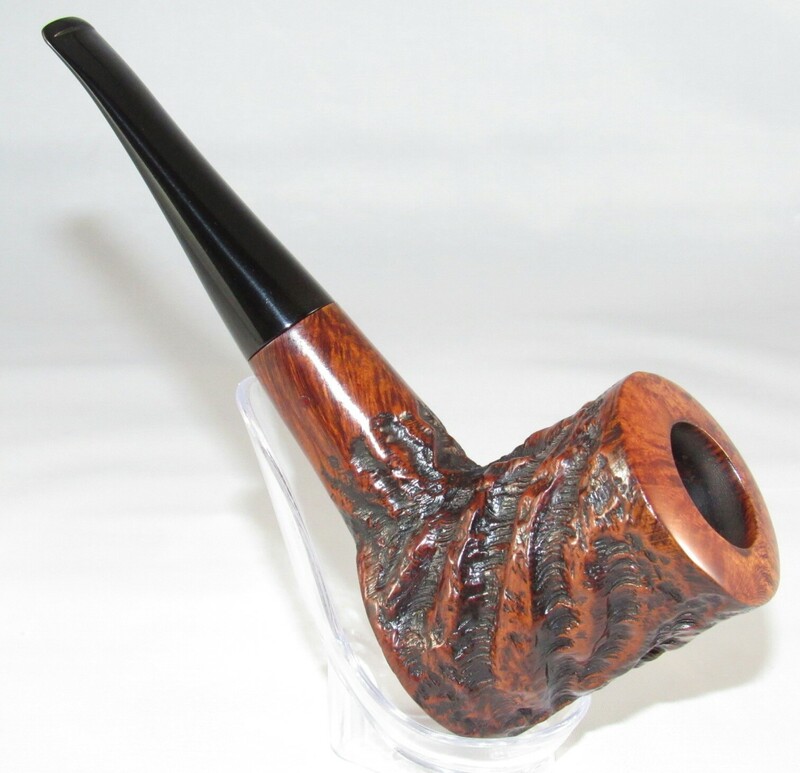 The upper filler absorbs the tar oils, the lower filter absorbs the moisture. 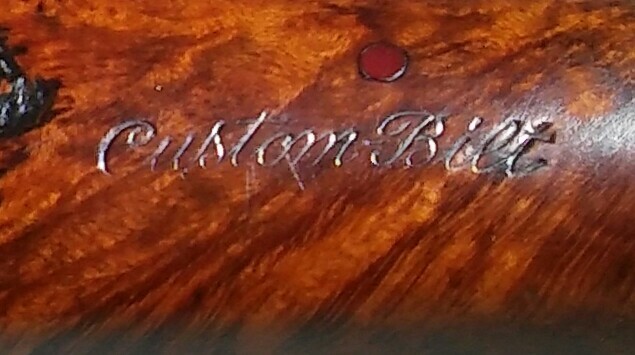 The Custom-bilt patented filler system is one more oddity that’s always on my radar, along with a list of many others I have yet to acquire. With the addition of this big and beautiful poker it brings the count to three in my collection each one more massive then the last. 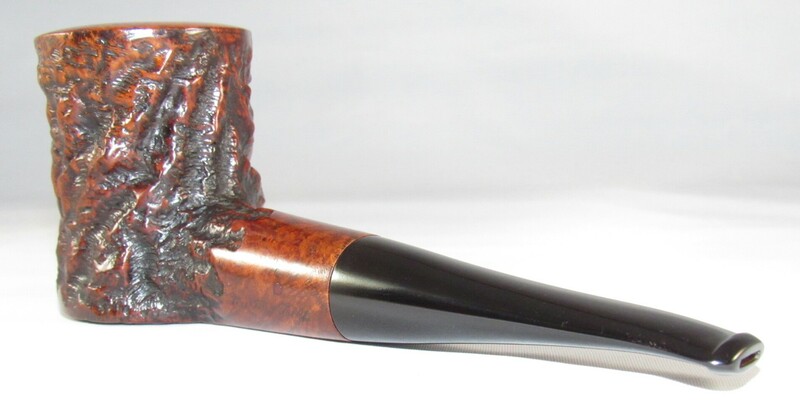 This example is by far the largest in my collection and also the first poker shape in the collection. 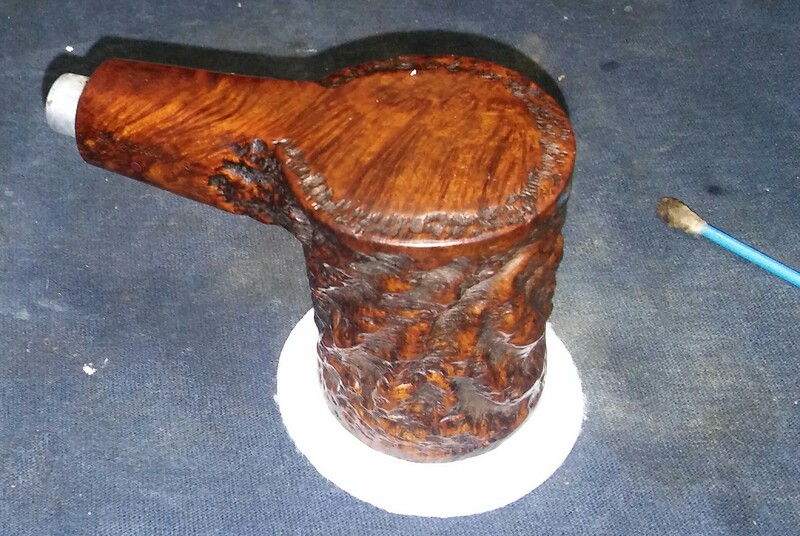 The seller removed the stem with pliers. At least there was no damage done to the filter system. 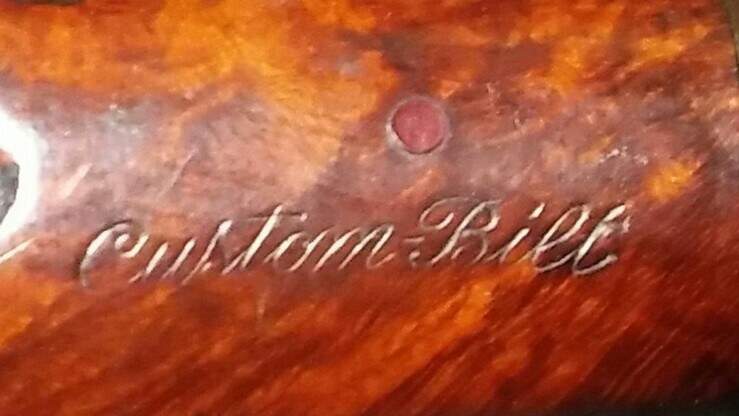 Aside from the tool marks on the stem, the pipe showed normal wear. 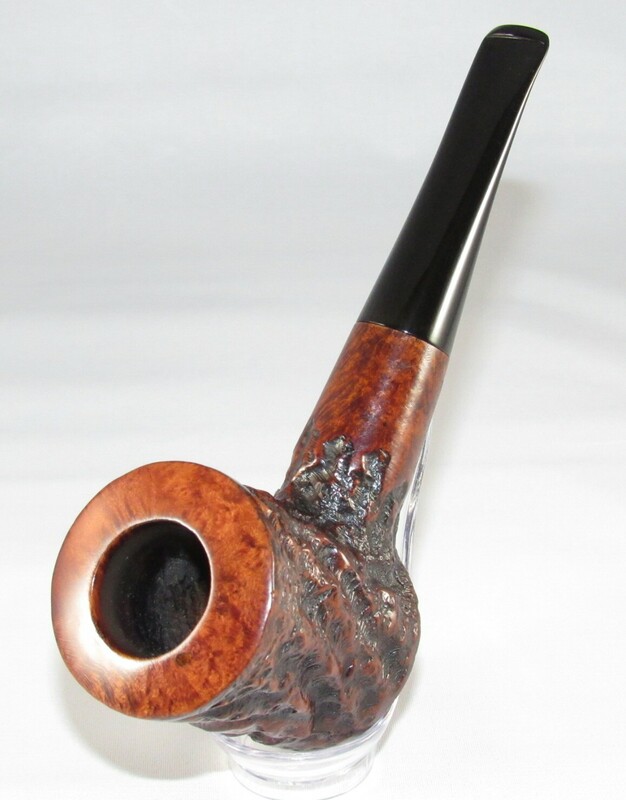 Light chatter, rim tar&char and one good burn on the rim. 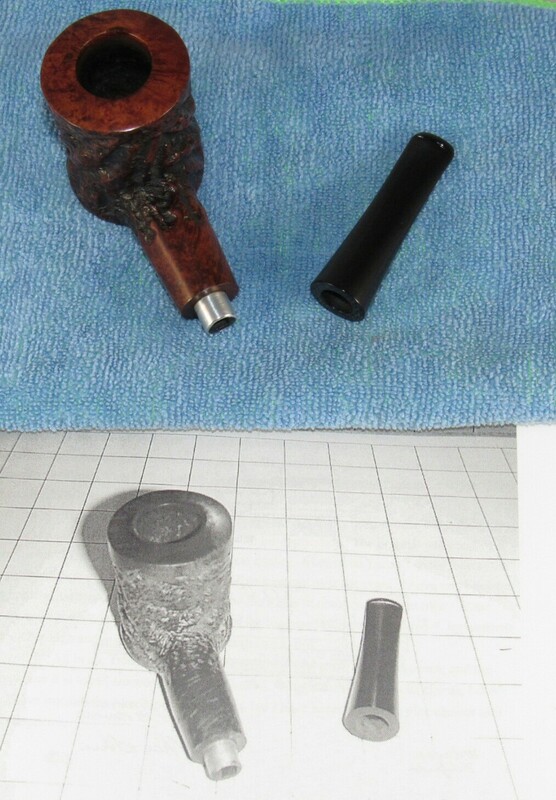 After disassembling the pipe I set aside the stem and started with stummel, reaming the chamber with my Pipnet reamer starting with the smallest attachment and working up to the third. 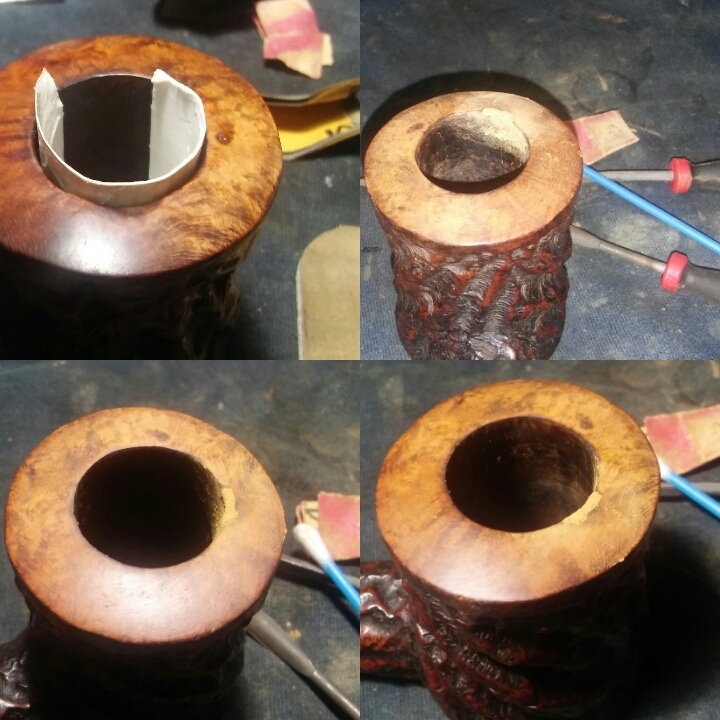 Smoothing out the chamber with 1000 grit sandpaper wraped around a finger. 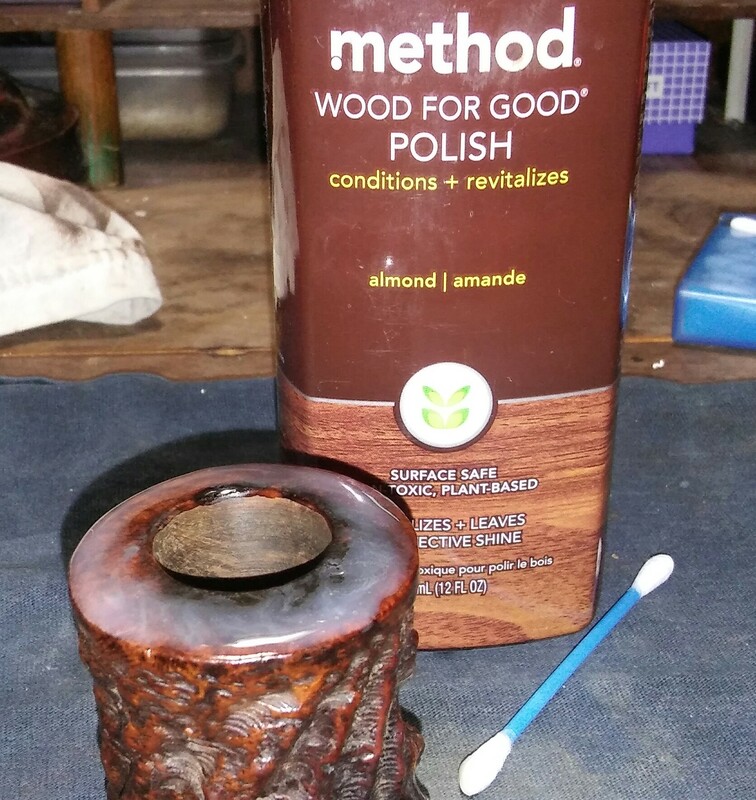 I applied a generous amount of Method Good For Wood Polish with a Q-tip to the rim tar&char and allowed it to soften the build up. It would prove more stubborn then first thought. I would have to apply Method polish to a makeup pad and leave the stummel upside down for a few minutes at a time working at the build up in intervals with Q-tips and a rag until the rim was free of debris. 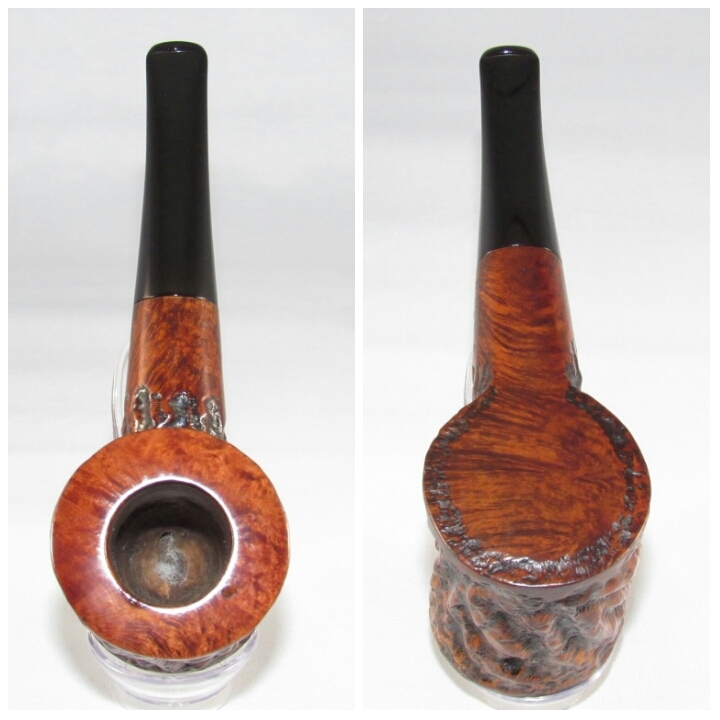 With the rim free of debris I could concentrate on the chamber and mortise. The filter system makes things a bit more difficult to clean and because the filter system is held by a red rod on either side of the shank I worry running a retort might damage the system. 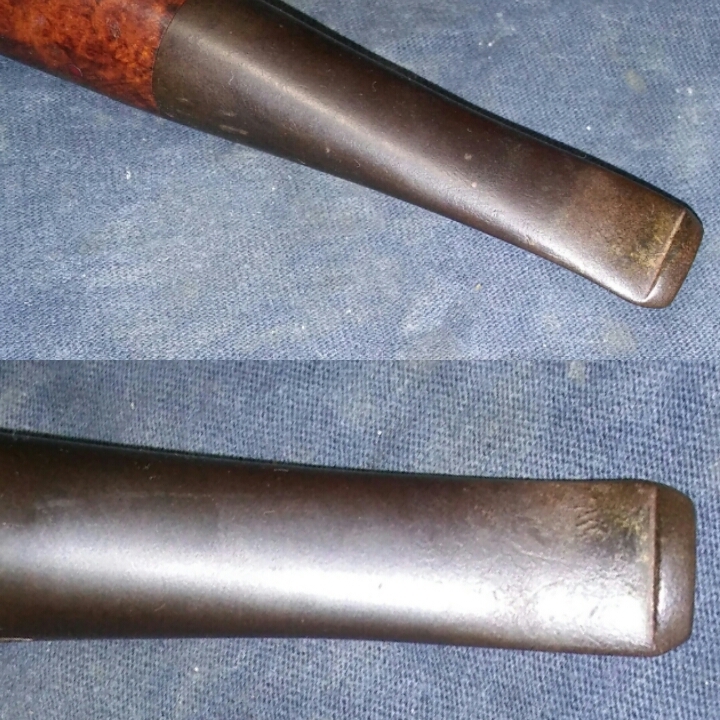 I did an initial internal cleaning of the mortise and chamber with EverClear, Q-tips and stiff/soft pipe cleaners to remove the loose debris. Then I inserted a pipe cleaner into the shank, filled the chamber with cotton balls and added EverClear until saturated and left aside so the oils and tars could be absorb. 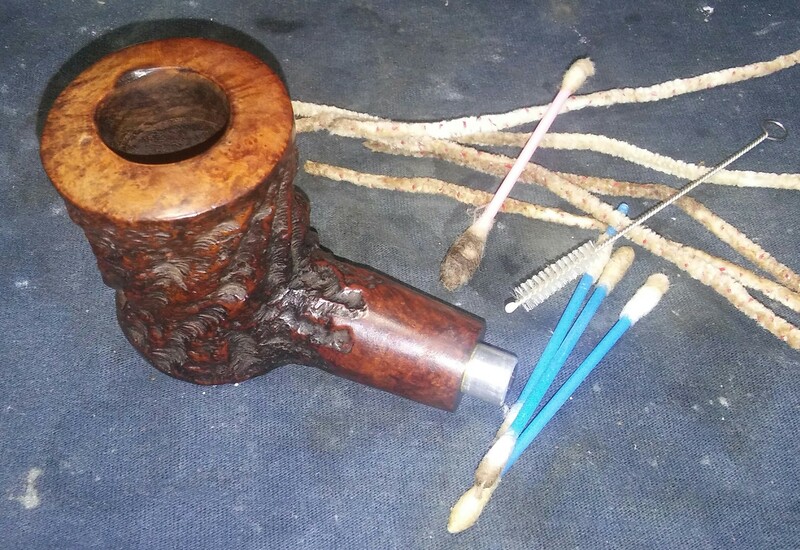 Then one more good cleaning of the internals again with EverClear, Q-tips (long&short), shank brush and stiff/soft pipe cleaners, cleaning until the pipe cleaners came out as they went in. I uncovered one pit and a burn that went pretty deep. In fear of changing the shape I decided to try and fill the impressions. 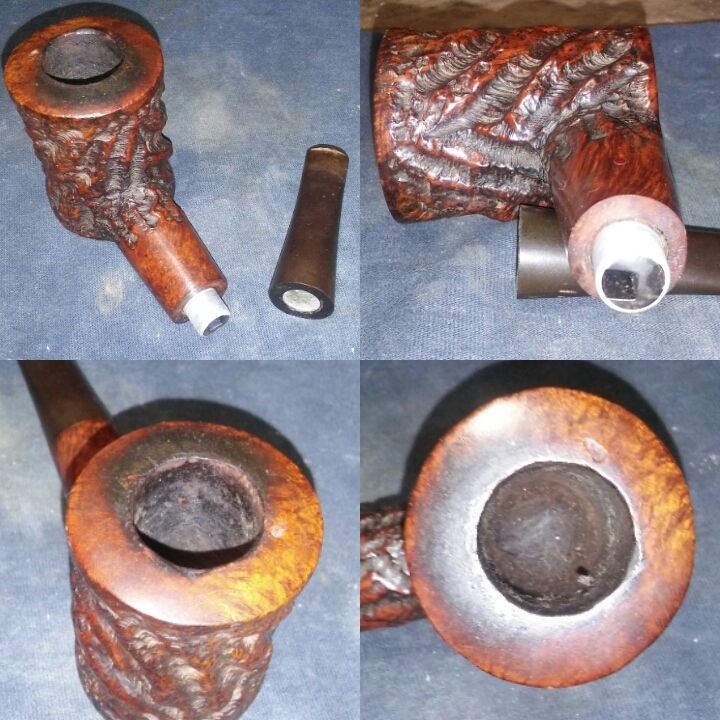 I cleaned the area with EverClear and filled the pit with briar dust and Gorilla Glue then left to dry. 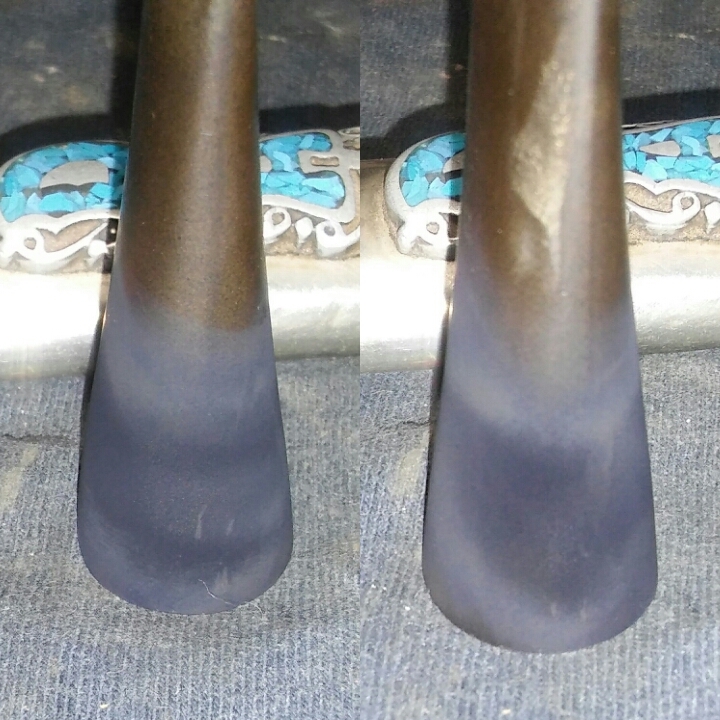 I filed down the burnt area of the rim with a needle file and cleaned with EverClear. I rolled up a piece of thin cardboard, put a little chapstick on the cardboard so the glue wouldn’t stick and slid it into the chamber. Now I filled the edge of the rim with briar dust and Gorilla Glue , removing the cardboard insert before the patch set. 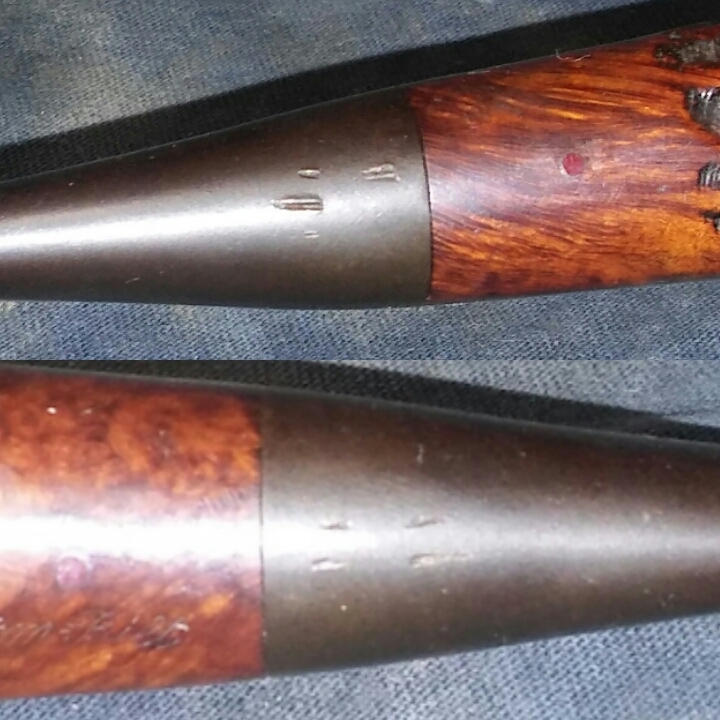 I could now shape the rim and inner chamber edge with needle files and sandpaper. I didn’t disappear completely but it looked better the before. 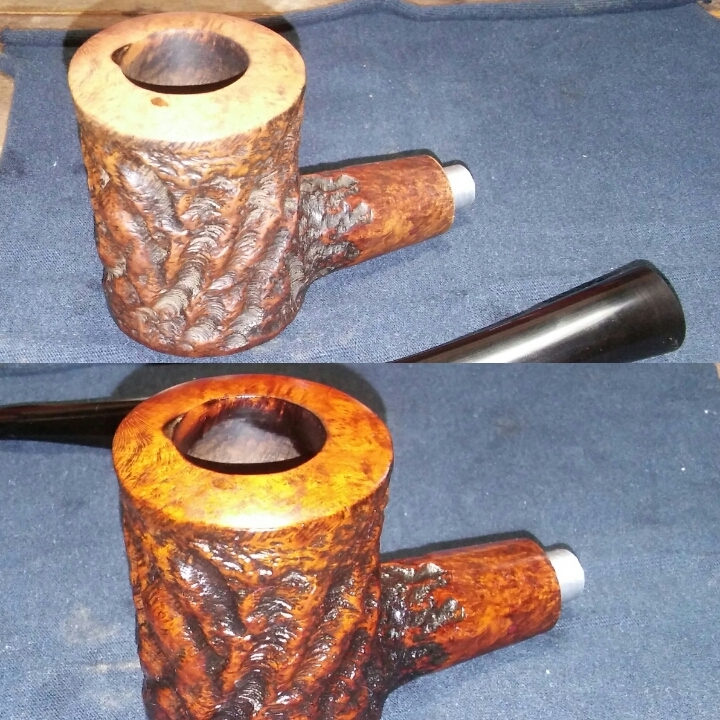 With the fill set I now wiped down the stummel with Method polish and left aside to dry. 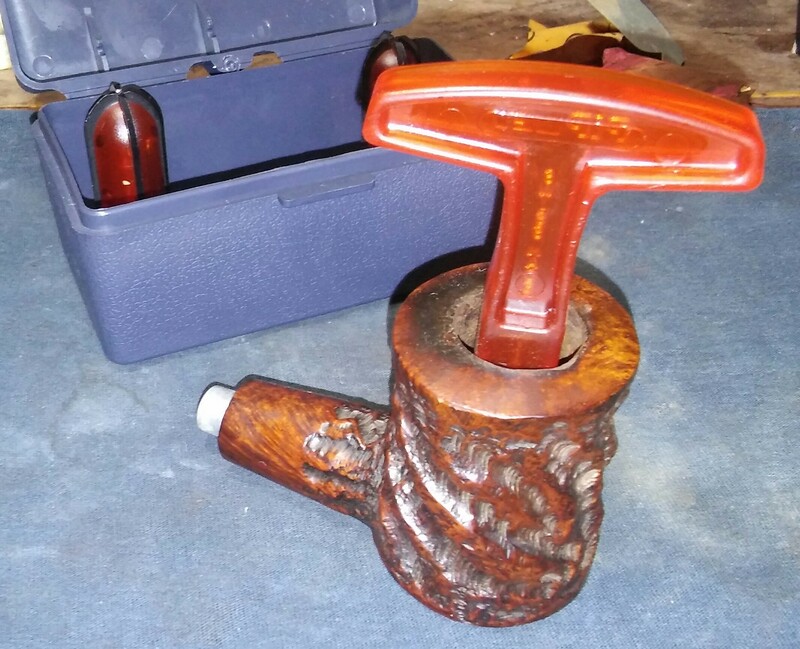 Once dry I gave the stummel a coating of Howard’s butcher block conditioner and let it penetrate for a few minutes, hand buffing off the excess. 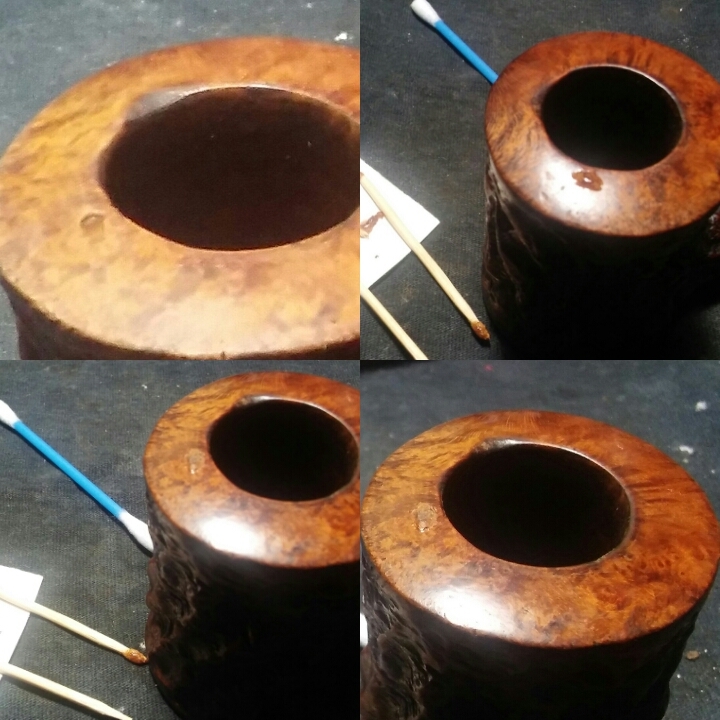 I did restain the rim after the repair was done I forgot to take a photo. 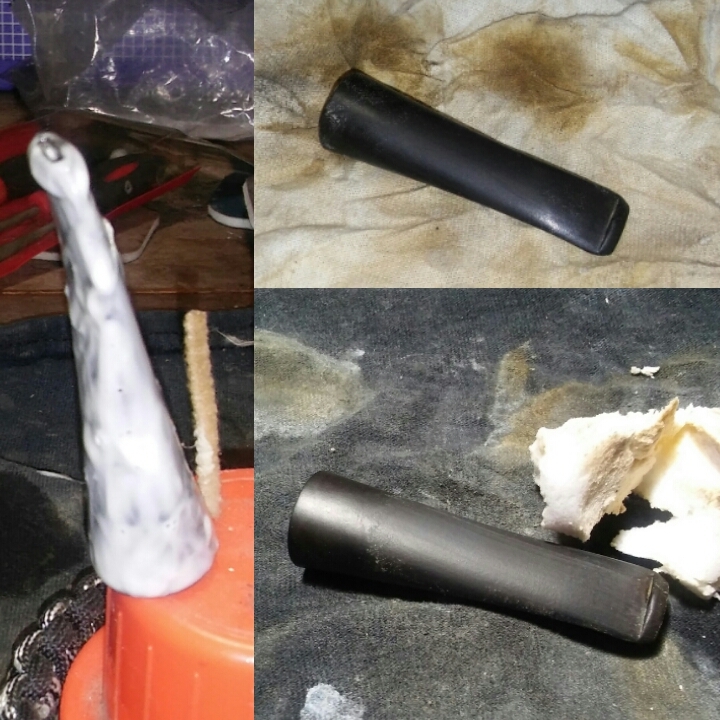 The impressions left from the pliers would raise with heat, using a Bic Lighter I heated the area (moving the lighter at all times never leaving the flame in one spot too long). The impressions were now at a suitable level for sanding. 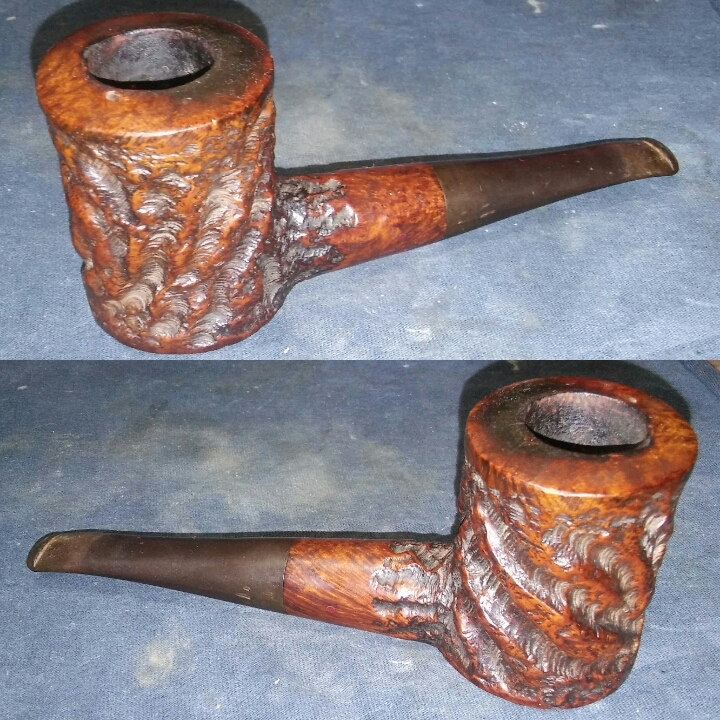 Now for the oxidation I applied a generous amount of non-bleach Soft Scrub to the stem with a children’s toothbrush and left it aside to work at the oxidation. 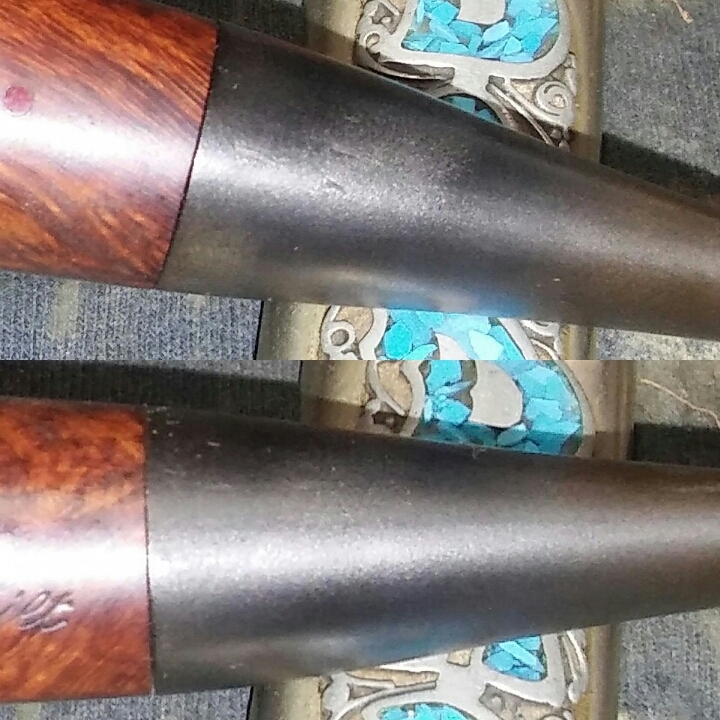 Once the Soft Scrub turns from white to a brownish color, now its time to introduce the old elbow grease and scrub vigorously with a rag until the oxidation is removed, finishing up with a damp Magic Eraser to remove the leftover oxidation. 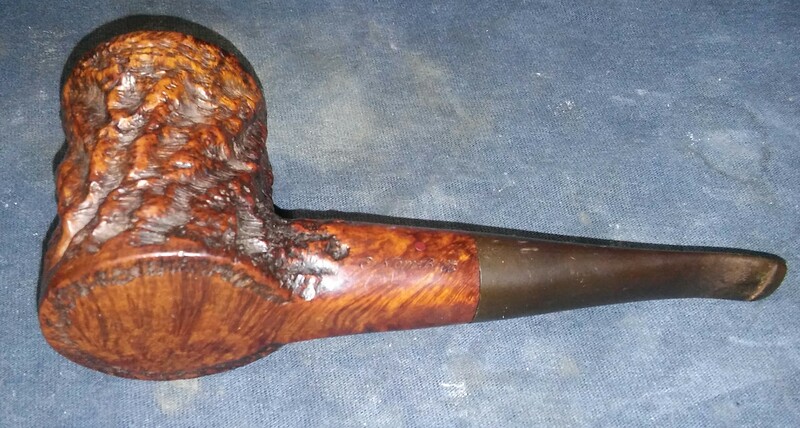 With the oxidation removed the stem was now ready to be sanded. 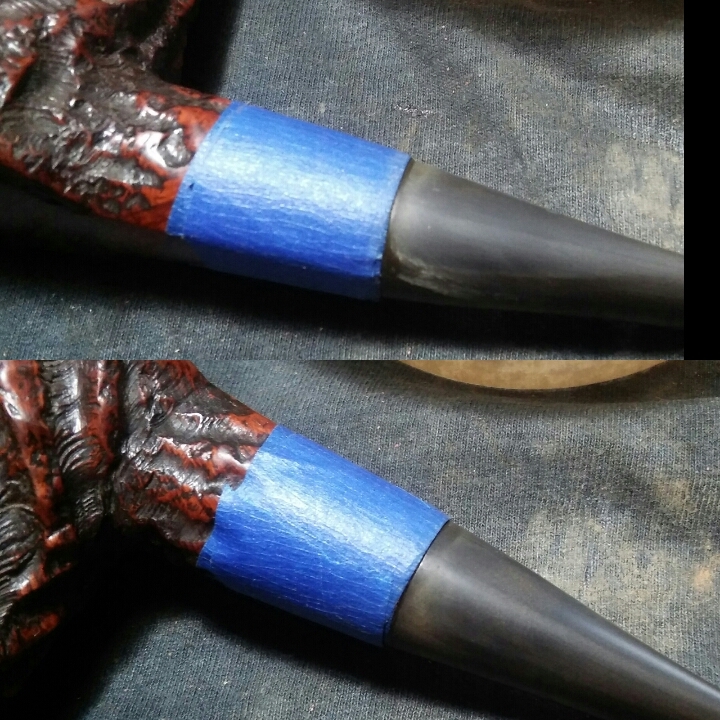 I taped off the shank with blue painters tape before sanding so I wouldn’t scuff up the nomenclature. I removed what was left of the plier impressions with 1000 grit sandpaper wet and also the tooth impressions were removed with 1000 grit . I then ran it though the various grits of sandpaper and micro-mesh, 1000,1500,1800,2000 and 2400 wet and 3200-12000 dry. She was now ready for the wheel. 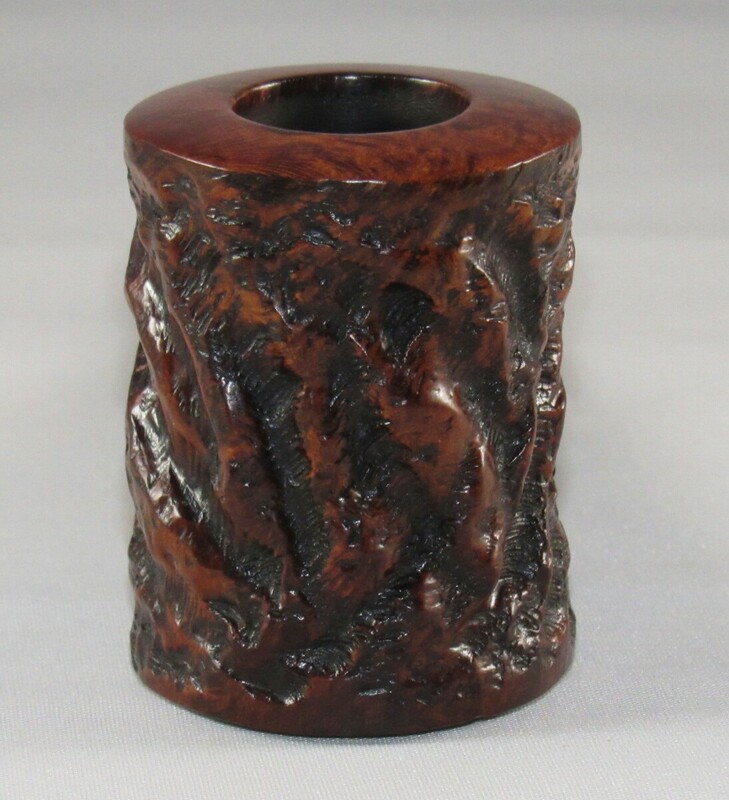 We named this one The Briar Shot, because it closely resembled – Well a shot glass. 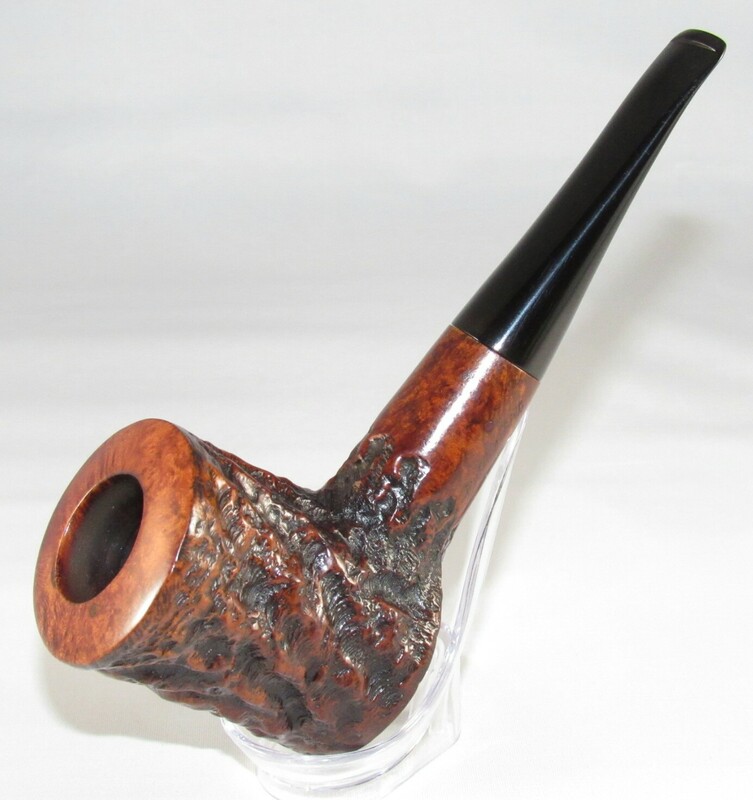 Photos & Information Courtesy of Bill Unger’s As Individual As Thumbprint The Custom-Bilt Pipe Story. 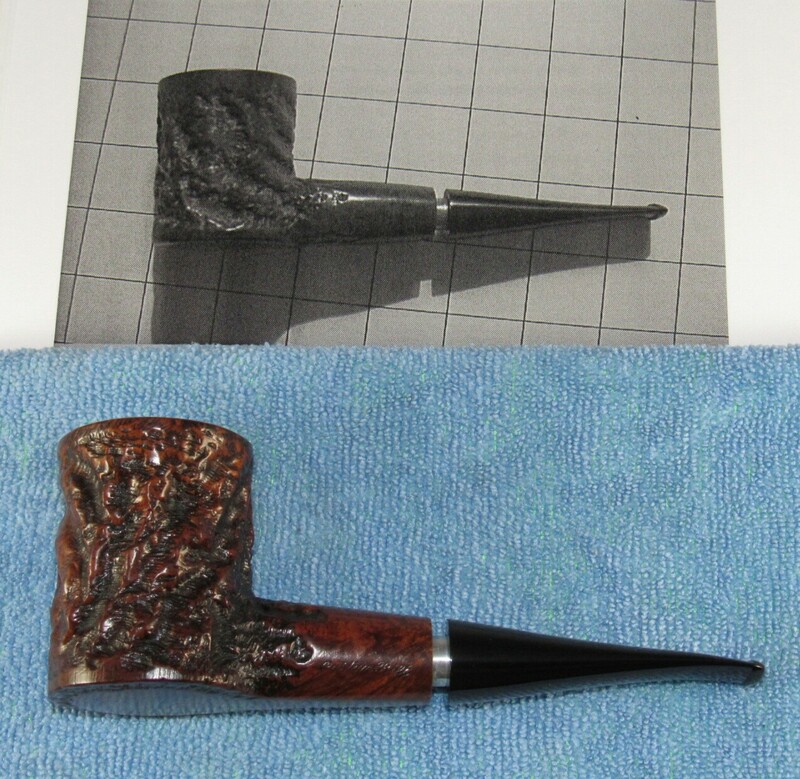 My favorite pipe pictured in Bill Unger’s book, mine is not an exact match but I’ll take close enough. 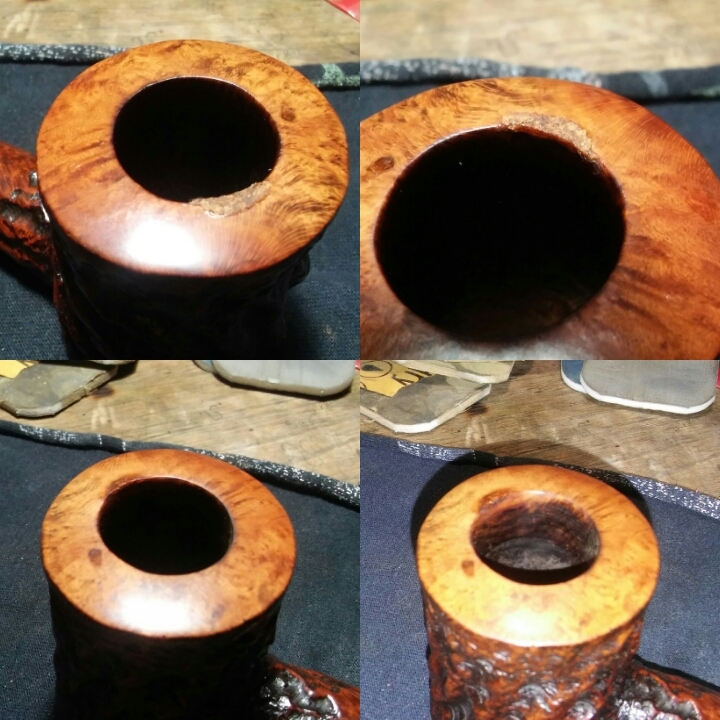 Finished her up on the wheel with white diamond, a few coats of carnauba and a microfiber hand buffing. 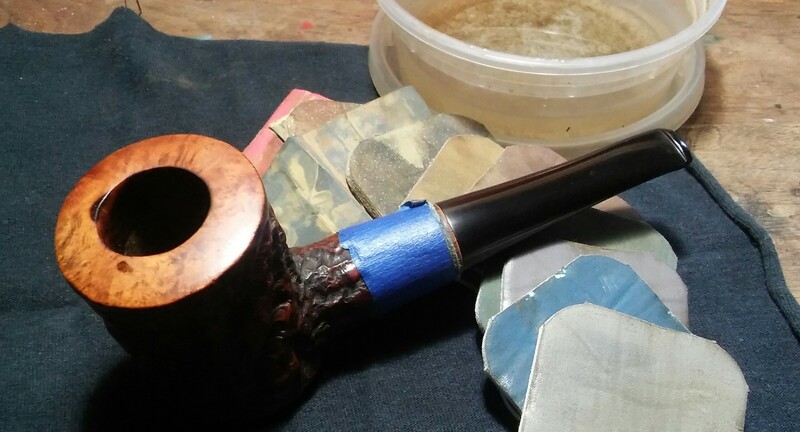 I buffed the stem with blue compound, I have read in Steve’s blog Reborn Pipes of him using the blue compound and thought I’d give it a whirl. The blue all purpose compound seems to take more, if not all of the fine sanding marks leftover from the micro-mesh. Once again I’m impressed. 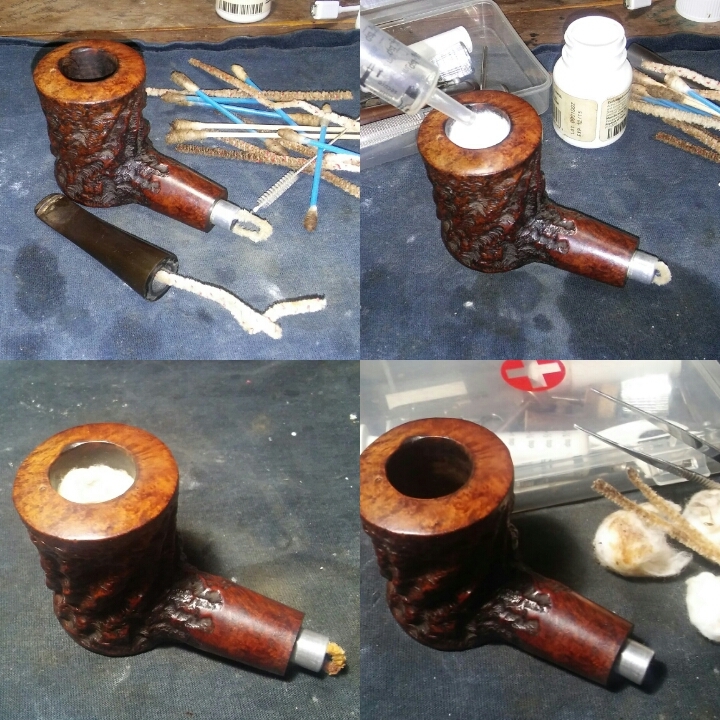 Beautiful refurb on this poker! 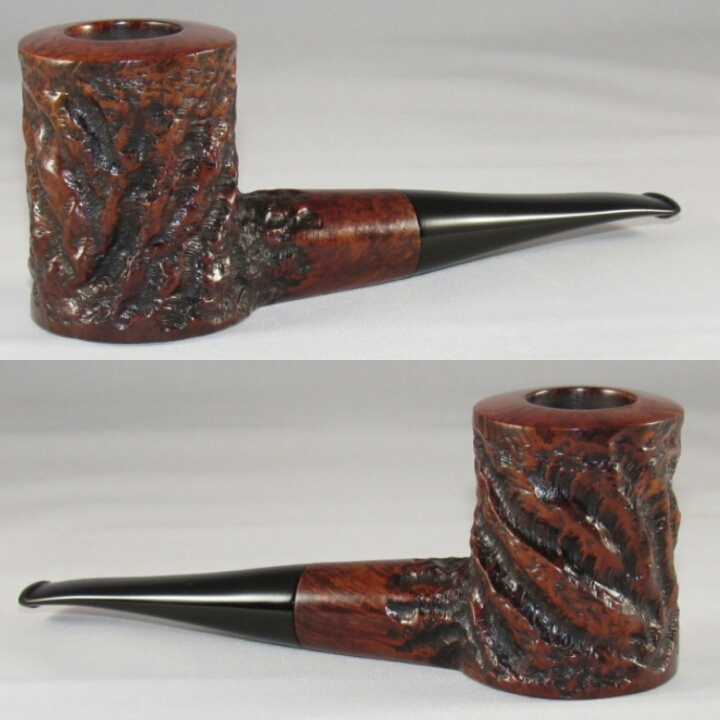 I love the contrast of smooth rim and rustic sides. I was blown away when this puppy popped up on the Bay, its not a shape often seen.